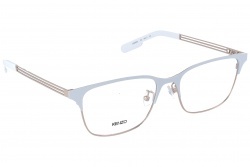 Glasses by Kenzo are rule-breaking. All models from the brand have something that make them different. Their designers try to stand out through futuristic and bold designs. Sunglasses created by Kenzo are modern and daring. 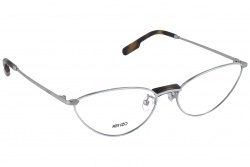 Inside their catalogue we can find both metallic and acetate frames. Its metallic models have anatomic bridges to achieve the best comfort and fit. Kenzo counts on a wide variety of colours in their models. 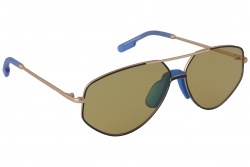 We can see models in brown or dark green and at the same time we can find colourful designs in pink or blue. According to their category, lenses would be darker or clearer, adapting to each customer's necessities and tastes. Another success from the French brand is their prescription glasses. 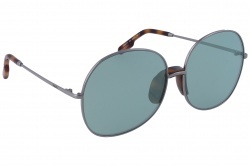 Their models project an incomparable personality, with strong lines in any of their two principal materials: Metal and acetate. 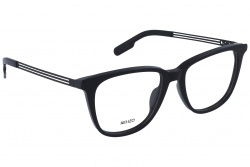 With these glasses the user will define a powerful personality. 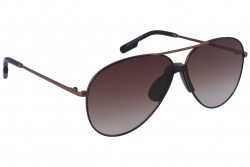 Cat eye, squared and aviator shapes stand out from the rest. Its Japanese designer, Kenzo Takada, stablished the brand in Paris in 1970. The fact that his founder has Asiatic origin has influenced the products, mixing this with European fashion elements. 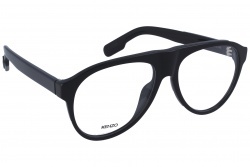 In this way Kenzo creates products with fresh and different style. 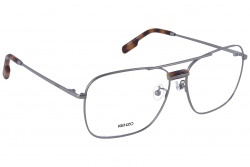 In Optical H we have a wide variety in sunglasses and eyewear by Kenzo. 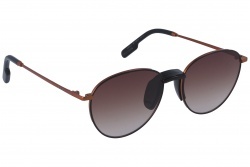 Contact our professional team and you will find the glasses that adapt best to your necessities. Furthermore, our products include warranty and free shipment.